Boasting a World Heritage Site, many Areas of Outstanding Natural Beauty, a National Park, over 120 miles of stunning coastline as well as seemingly unending rural countryside; it’s safe to say you’re never short of things to do in South Devon. We have compiled this comprehensive (and by no means exhaustive) list of places to explore – we bet you’ll make a list and each trip you take will be one of many short breaks in South Devon. An award-winning, working organic farm, Pennywell lets visitors handle and feed the animals that live there. Find out more about Pennywell Farm here on our blog. The largest theme park in Devon, Woodlands is perfect to visit whatever the weather. There are 11 Playzones to explore with a variety of rides and attractions. Experience a walk like no other, with views that will take your breath away. Will you find a fossil? Multi-award winning, South Devon Railway is the longest established steam railway in the South West. People of all ages can attend in all weather conditions. Read all about the history of the South Devon Railway here on our blog. Open moorlands, river valleys, rare wildlife. Dartmoor National Park is a unique place to visit that offers something new each time you spend time there. Voted the South West’s number one family day out. Crealy offers shows, rides, play areas and animals. There’s over 60 attractions to experience. Take guided kayak trips along the coastline or take a course to gain qualifications. The perfect place to drop by if you’re a couple. Sample English wine, cheeses and participate in a tour. Explore 3500 acres of woodland on foot or by bicycle. A beautiful waterfall that can be found on Dartmoor. Explore ancient woodland on a walk or stop by with a picnic. A horse racing venue that hosts races throughout the year. Will you feel lucky enough to place a bet? An impressive castle with vast gardens. Perfect for visitors of any age, there are events and learning workshops held frequently. The castle is also dog-friendly. A beautiful Blue Flag family beach resort at the mouth of the Exe Estuary. There is a beach, arcade, go karts, Nature Reserve, cycle trail, steam trains on the sea wall and much more. Historic and full of rich architecture, the Quayside is great for visiting the local pubs, restaurants or for attending one of the many events held throughout the year. There are more than 50 beaches in South Devon. Which one will you choose for your sandcastle? There is more than 120 miles of coastline between Seaton and Plymouth. The picture-perfect views are unmissable. The UK’s biggest aquarium that offers a wealth of information on conservation and fascinating underwater species. Meet amazing animals in 33 acres of beautiful landscape. You can listen to interesting animal talks and see impressive breeds for yourself! Guarding the entrance to the Dart Estuary and Dartmouth for over 600 years the castle is a great day out for all. Learn about its secrets of medieval engineering right through to the most recent of wars. We’re delighted to be recognised as one of the most family-friendly Devon holiday hotels. 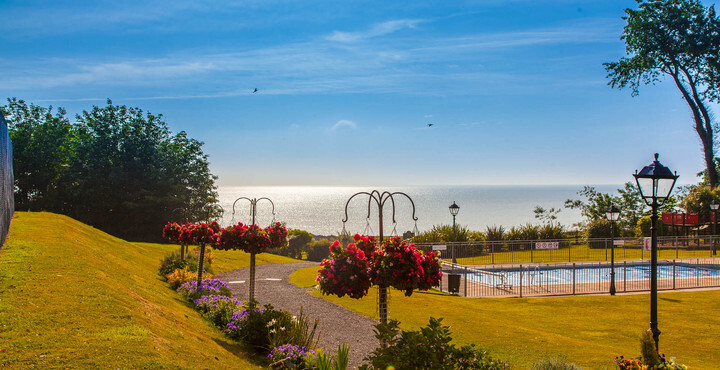 If all these things to do in South Devon have you ready to jump in the car and pay us a visit, then call or check availability for our rooms online.